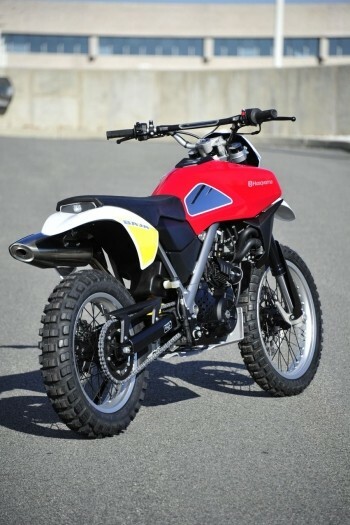 Husqvarna has decided to go back to the 70s with its Concept Baja. 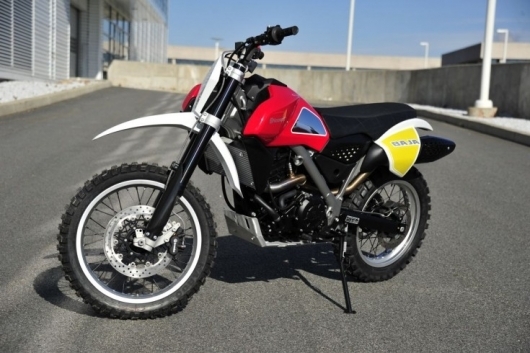 The retro-styled bike had its first debut at the 2012 Progressive International Motorcycle Show in New York last Friday as part of the exhibition's 12-city tour across the U.S. 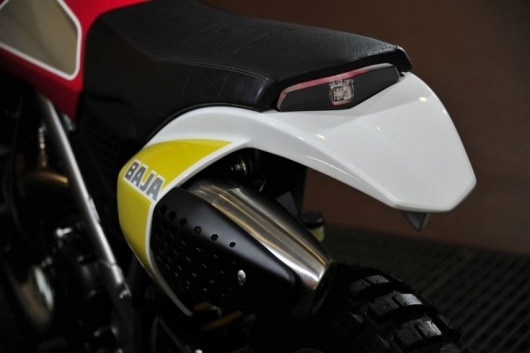 Taking its name from the famous desert race that's been run each year for more than four decades, the Concept Baja radiates a 70s vintage vibe with a design that echoes the company's off-road models from that era, but with a modern touch most immediately evident by an LED-array headlight built into the front number plate and an LED instrument display built into the crossbar. 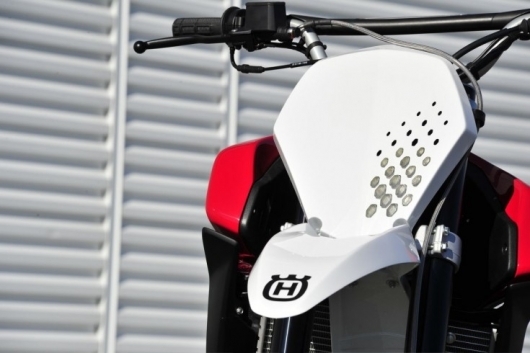 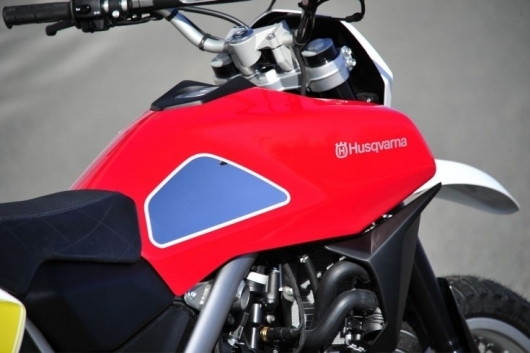 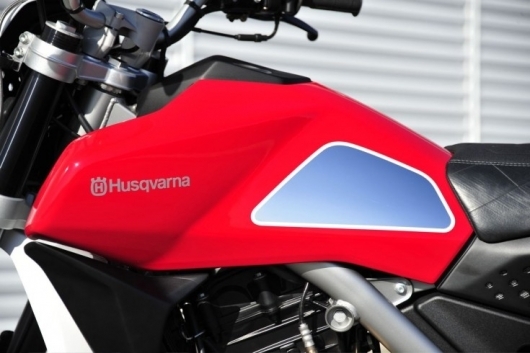 Although it's only a concept bike at this stage, a number of Husqvarna's recent concepts, such as the Nuda 900, have gone into production. 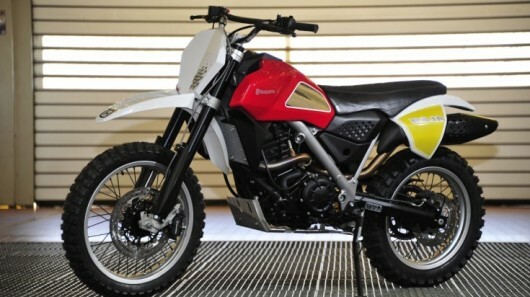 So if the response to the Baja is positive, there's every reason to expect it might get the same treatment. 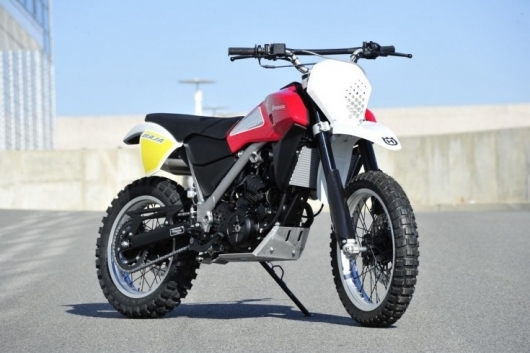 The Concept Baja is powered by a 650cc single-cylinder, liquid-cooled, four-stroke engine with very un-70's electronic fuel injection and a five-speed wide-ratio transmission. 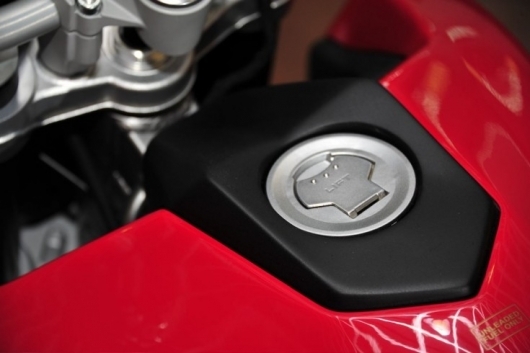 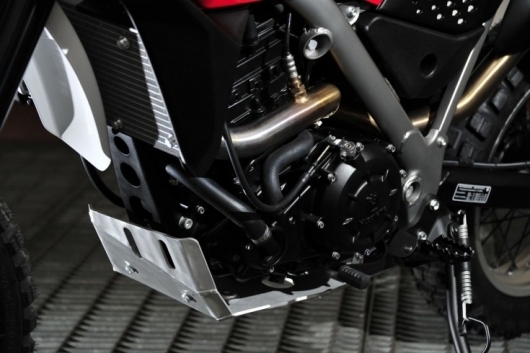 Other features include a perimeter frame with progressive-linkage swingarm, 19-inch front and 17-inch rear wheels with intermediate-knobby tires, Brembo disc brakes and an "approachable" seat height designed to suit a variety of riders.